Pune, Maharashtra based one of the leading plant supplier company having its own set up with Plant tissue culture lab with all facilities. Company having strong presence in India for more than one decade, we are prominent Exporter, Manufacturer, Importer, Service Provider and Supplier of various ornamental plants. In Gerbera Plants we have promising variety Yellow, Red, Pink, & White plants. In Carnation Plants we offer Breier variety from Tamir Carnation variety that is the breeders for world famous Dona family & other best performing varieties in Yellow, White, Pink. 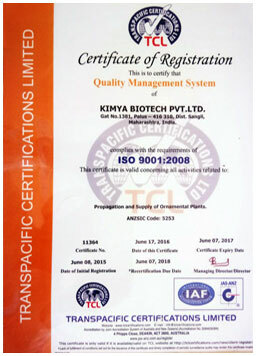 We have been strictly following protocols to deliver quality products to valuable customers. : Gerbera Plants, Carnation Plants, Ornamental Plants, Tissue culture plants, Tissue culture Ex agar plants, Tissue culture In agar plants, Floriculture, Green house, Poly house, Shade house, Hightech agriculture, Gerbera, Carnation etc. : Pune Off: 903, Lloyds Chambers, Mangalwar Peth, Pune - 411011. 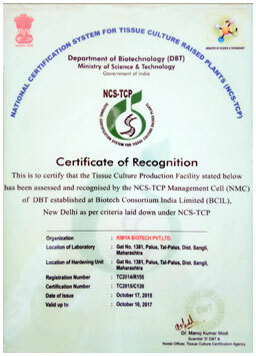 We have long experience, dedicated technical expertise in different verticals of tissue culture, who handle the day today activities in dexterity manner. Our field technical support to the growers from level Zero. We provide nuggets to growers time to time to escape from disease & disaster. We also provide market feedback about our variety. We commit to provide proven Gerbera varieties grown under protected environments (Poly House, Green House, Shade House, etc. ), dispatch at stipulated period and offer best after sales services. Carnation deals with SantaMaria- Italy, Breier- Israel, Biniek- Poland. We have many satisfied growers across India have good percentage of customer retention striving hard to make our market presence in India as well in neighboring countries.